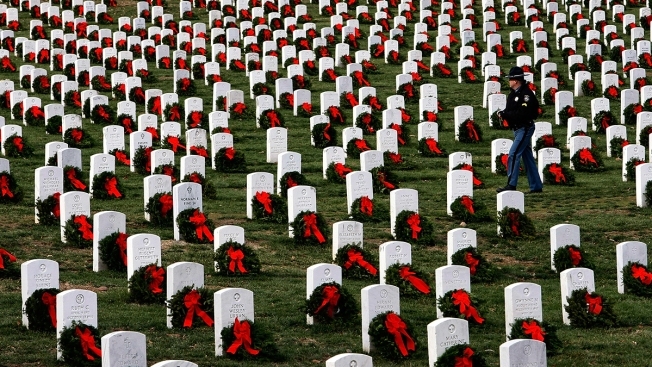 This Dec. 15, 2007, file photo shows Arlington National Cemetery. Thousands of people persisted through rainy conditions in the Washington, D.C. area, Saturday to lay more than a quarter million wreaths on graves at Arlington National Cemetery. President Donald Trump arrived about 2:15 p.m. via motorcade amid dense cloud cover and rain at Arlington. Carrying an umbrella and wearing boots, he walked down a row of headstones and greeted service members in uniform. Wreaths Across America annually brings together individuals and community groups to lay wreaths on thousands of graves at more than 1,400 sites, including Arlington National Cemetery. The goal is to place a wreath on the grave of every veteran. With dense cloud cover and sometimes heavy rain over Arlington, volunteers placed about 267,000 wreaths. "In many homes, there is an empty seat for one who is serving or one who made the ultimate sacrifice for our country. 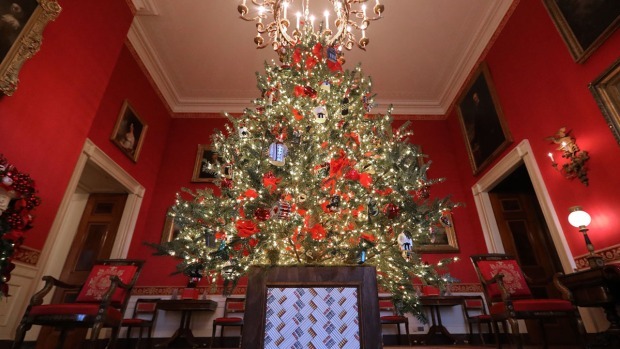 There is no better time to express our appreciation than during the hustle and bustle of the holiday season," the organization's website says. Gates at Arlington National Cemetery opened at 8 a.m., and officials posted a photo showing a crowd huddled under umbrellas and wrapped in raincoats waiting to enter.